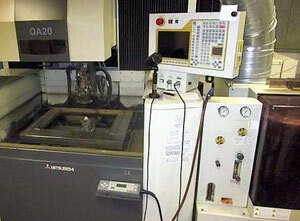 The abbreviation EDM stands for Electrical discharge machining and is also known as spark machining or wire burning. EDM represents a production process where the final shape of the product is obtained with electrical sparks. 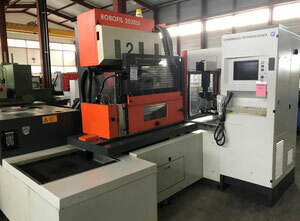 EDM wire cutting machines belong to the category of Metalworking machine tools. Current is repeteadly discharged between the two electrodes causing and this is how excessive material is removed from the workpiece. What's peculiar, material and the tool itself are not supposed to be in contact. There is always a tiny gap between them assuring the successful performance. Increasing the voltage between the two electrodes results in the increase of the intensity of electric field which finally becomes greater than the strength of the liquid dielectric. In EDM wire-cutting machines, a thin single-strand metal wire (usually made of brass) is fed through the workpiece, submerged in a tank of dielectric fluid. The wire itself is held between two diamond guides: one upper guide and one lower. 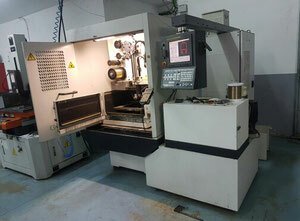 Those guides are usually CNC controlled and can move on a x-y axis. Typically, deionized water is used as the dielectric fluid. Dielectric fluid (water) has the main function to control resistivity and also flush the excessive material from the cutting zone. 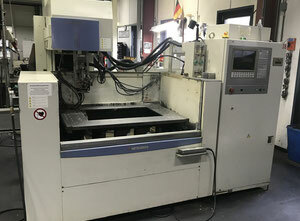 Machining method of electrical discharge machining is mainly used for working with hard metals which are normally difficult to machine using traditional methods. EDM works best with electrically conductive materials and can cut desired shapes in steel without any pre-heating to soften it. Electrical discharge wire cutting usually stands in one line with other non-conventional metalworking methods allowing to remove material without close contact with the surface, like water jet cutting or laser cutting. 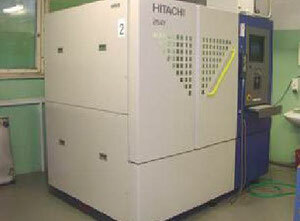 Wire-cut EDM is used to cut plates of maximum thickness up to 300 mm. 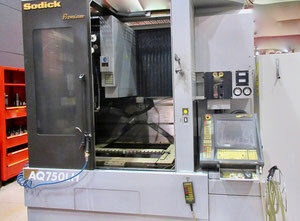 Prototype making is the most common area where EDM wire-cutting is usually used. 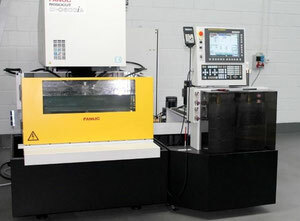 Prototype and production parts in automotive, electronic and even aerospace industries would be impossible without EDM machining. 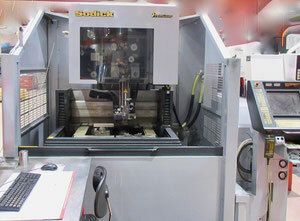 Wire-cut EDM machines allow to make a small hole in a workpiece in through which to thread the wire for the wire-cut EDM operation. 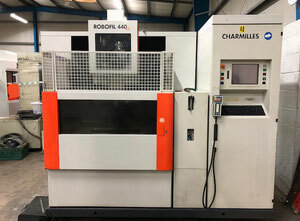 A separate EDM head specifically for small hole drilling is mounted on a wire-cut machine and allows large hardened plates to have finished parts eroded from them as needed and without pre-drilling. Agie Charmilles. 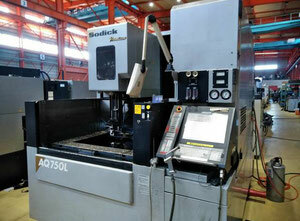 Swiss manufacturer of metalworking machines specializing in EDM solutions. 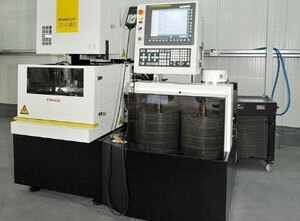 Fanuc. Japanese manufacturer and world famous metal machines brand. 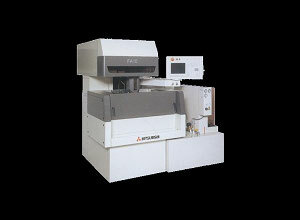 Makino. 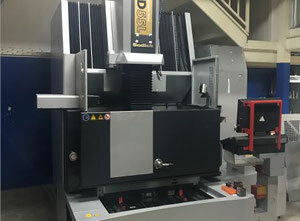 Global leader in metal-cutting and manufacturing technology, with industry-leading wire-cutting EDM and Ram EDM as well as machining centers.